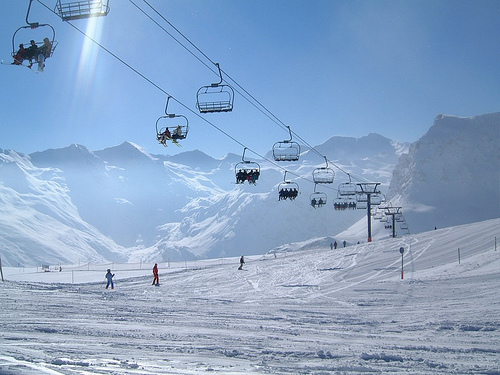 Located in the Savoie Region of the majestic French Alps, Val d’Isère and Tignes make up one of the world’s largest and most famous ski resorts! L’Espace Killy offers enough challenging skiing to make this region the favorite of many accomplished skiers, yet the wide-open, rolling slopes make it all seem easy. It is literally possible to ski day after day without taking the same run twice. Even if the wind kicks up, you can still ski, taking advantage of the efficient underground railways both resorts have. 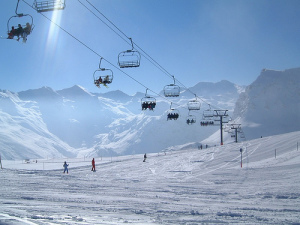 This area has been dubbed with the name L’Espace Killy after it’s favorite son Jean-Claude Killy, who swept all the ski events in the 1968 Winter Olympics and went on to design the course for the 1992 Olympic Downhill held at Val d’Isère. The town of Val d’Isère still speaks of a pastoral era where bright ski suits swirl past an 11th century Roman church while parasailers circle the blue skies above. 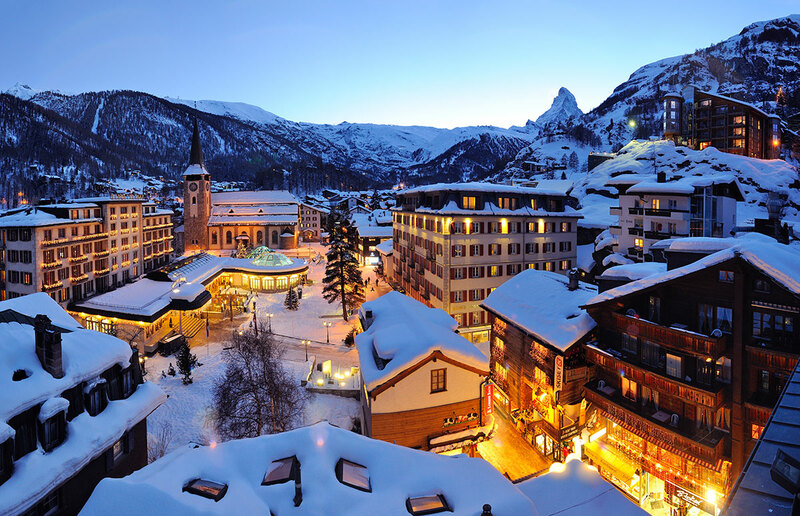 Val d’Isère offers a plethora of après-ski and shopping options, as the majority of skiers here are used to enjoying themselves after glorious days on the slopes. Tignes has some establishments to find lively nightlife and sophisticated shopping, but is dwarfed in comparison to its cosmopolitan neighbor on the other side of the hill.